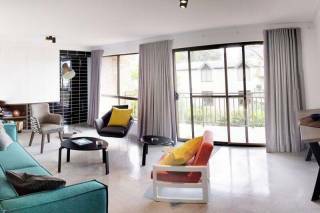 Set in The Goldsborough Mort building, one of Pyrmont’s most iconic buildings, you will find this stunning, executive apartment. It has world class amenities such as a Pool, Spa, and Fitness center. 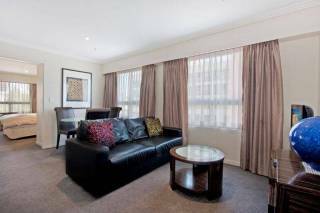 The building is conveniently located a short distance from many of Sydney’s Iandmark destinations. You will feel right at home in this gorgeous apartment. Furnished and renovated to a high standard and featuring high ceilings, a fully equipped, modern kitchen, a modern bathroom and gorgeous timber beams and flooring throughout. The open plan living and dining area is bright and luxurious. 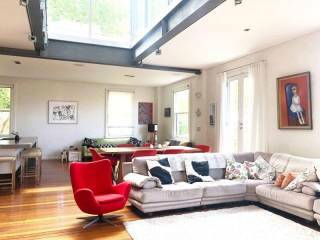 There is seating for 4 and a separate private entrance to this ground floor apartment off the lounge as well. 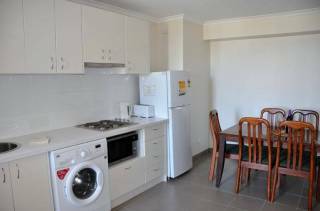 The large bedroom has ample built in wardrobe storage an the apartment also has an internal laundry in the chic renovated bathroom. We are an agency, we don't meet you at the property, however our friendly staff are just a phone call away! We are always happy to help you with any issues you may have. Keys are collected from a key safe direct at the apartment. Please note check in time is prior to 10pm on the day of your arrival. If you are arriving later, you will need to contact us so we can make alternative arrangements for collection of the keys.